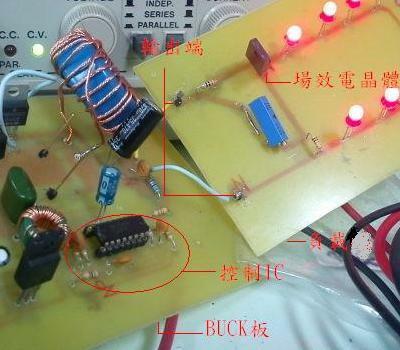 The purpose of this project is to make use of the power switch components.In order to achieve the step-down purposes,we let the input DC voltage cut into high-frequency signal by the energy conversion, rectified, filtered high frequency signal. Because of energy storage components only taken by smaller value, it can improve the problem of the bulky traditional　power supply and overheat. Additionally,it can be used on the dimming LED.